Please refer to our stock # 4090 when inquiring. 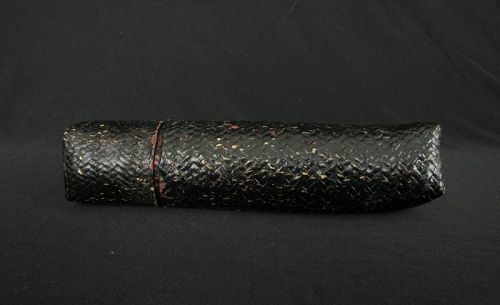 Nice old black and red lacquered cylindrical woven bamboo box from Northern Thailand No holes or broken bits. L: 19.5cm/7.2in and D: 4.5cm/1.8in.